Plastic pipes have a wide range of applications including gas, water, sewer systems, building, land drainage, cable ducting and irrigation. 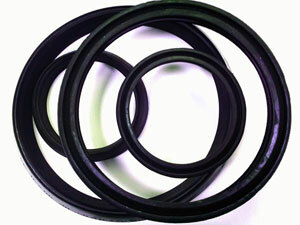 URIL is a well-established PVC Pipe Seals Manufacturer and Supplier in U.A.E. Our range of PVC Pipe Seals offers solutions from the smallest to large diameters for both pressure and non-pressure applications. Made with fine quality of raw material, the Plastic PVC Pipe Seals, offered by URIL, are used by most u PVC Pipes Manufacturers as per DIN 80612/62 and BS EN. We make PVC Pipe Seals to customers' specific requirements & specifications. Also, we are capable of handling bulk orders and ensure to make timely deliveries.